Sometimes we have to go through the problems of tackling luggage at the busiest places such as Airports or Railway stations or Bus stand etc. On these places, we find it very difficult to handle and secure our luggage but now there is no need to worry as there is Ovis by self driving robotic company ForwardX. 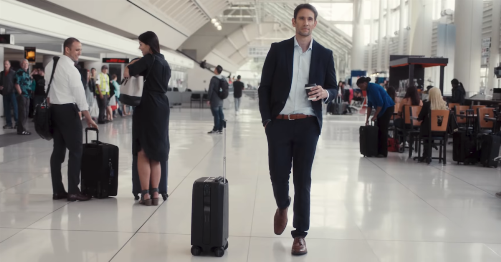 It is the world’s first vision powered suitcase that can follow the user in large part because of the successful integration of smart technology. It can also move autonomously by our side according to its designer company. This is the carbon fibre suitcase which is equipped with the sensors that allow it to follow us at the speed of almost 7 miles per hour without running into anything. It contains the route projection technique that is helpful in recognizing its path. We can also check the weight of our luggage without using our phone as it has the Ovis app. It is equipped with the real time GPS location tracker if we lost it mistakenly along with an alarm to alert us in case if it is too far behind us. Many airlines are also cracking down on smart luggage as Ovis is comes with the TSA-approved digital lock through which it can unlock itself automatically if we are near the security. Its battery can be removed as well as it has a double charging dock for our phone. It has the enough power to last two round trips and it can be switched to the manual mode.